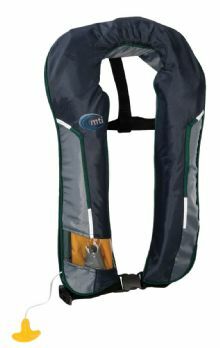 This manually inflating personal flotation device is perfect for anglers looking for a comfortable, high flotation life jacket. This PFD is USCG approved and on size fits all. We recommend a life jacket be worn whenever you are fishing in or near the water. A spare rearming kit is advisable - you just never know when you need to have on handy.